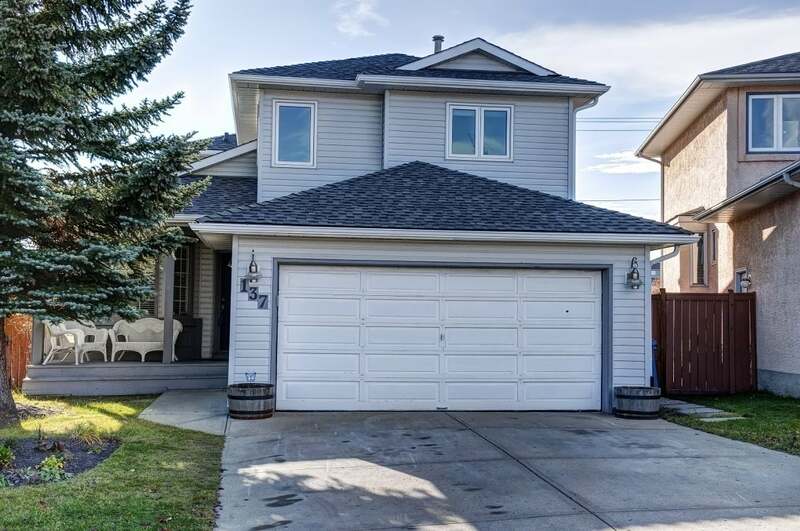 This wonderful home situated on a large pie lot is backing onto the well connected pathways of MacEwan Glen. Featuring fantastic curb appeal, a quiet street and a large covered porch drawing you into this spacious family home. The main floor has an inviting entry, laundry, spacious formal living/dining space, eat-in kitchen and a family area that is warmed by a wood-burning fireplace. Upstairs the large master bedroom has his and her closets and a massive ensuite. Two more large sized bedrooms and another full bath complete this level. The walk-out basement features two large sized rec. rooms, a bedroom, bathroom and a mud room, leading into the back yard. In the southeast facing yard you will find the patio, hot tub, deck, vegetable garden and mature landscaping offering a private feel. Call to view today!